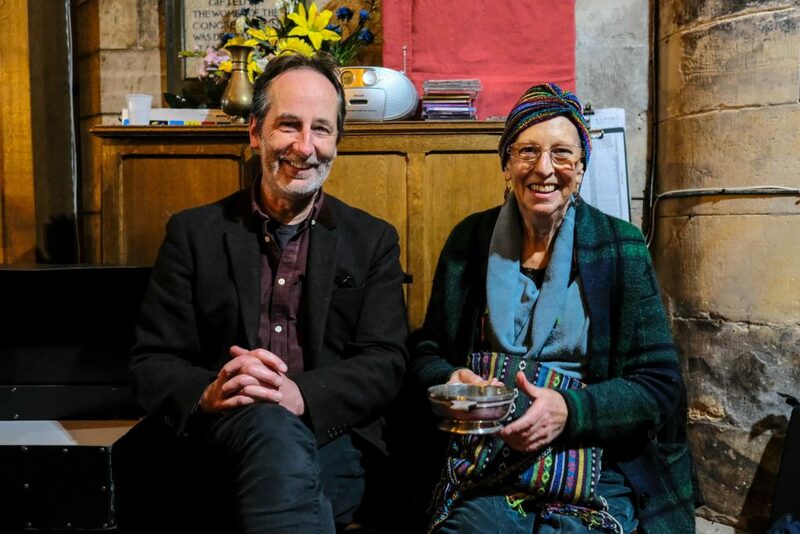 St Andrews Photographic Society celebrated its 60th Anniversary and opening of its Annual Members Exhibition with a social evening at Holy Trinity Church, St Andrews last Wednesday. The exhibition is open for the month of October from 10am-4pm, Monday to Saturday. Tim Fitzpatrick, artist and photographer, was asked to judge the Wilson Quaich Competition for the best print in the exhibition. 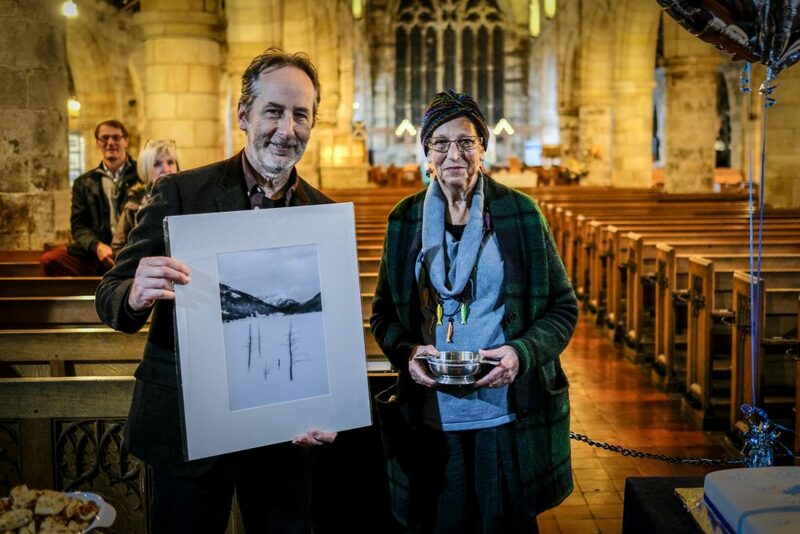 Mathew Schwartz was commended for his picture “Perth Road Reflections” and Stan Farrow for “The Monks Crossing”. The overall winner was Margaret Coull for her black and white print “Lodge Pole Pines In Snow”. A special guest of the evening was Dr David Thirkell who was one of the founding members of the St Andrews Photographic Society in 1958/59. 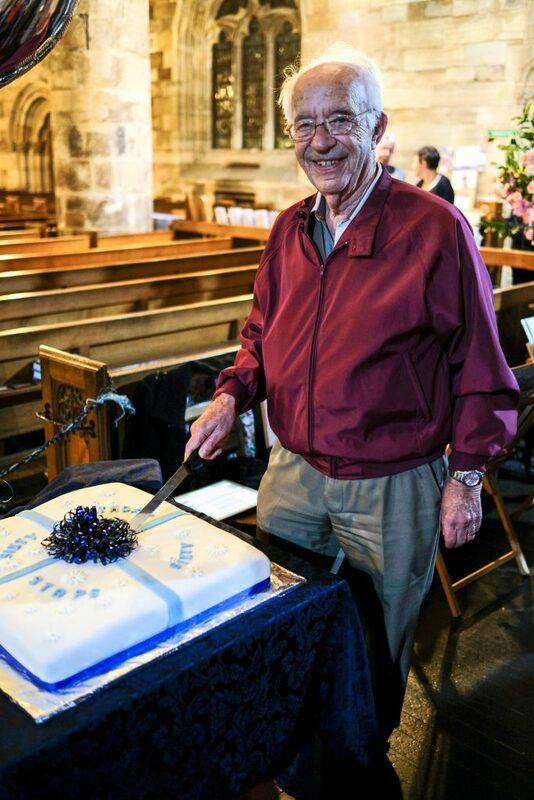 Dr David Thirkell cuts the 60th Anniversary cake. A very enjoyable evening was had by all. Thanks go to our judge for the evening, Tim Fitzpatrick, Dr David Thirkell, invited guests and our members.